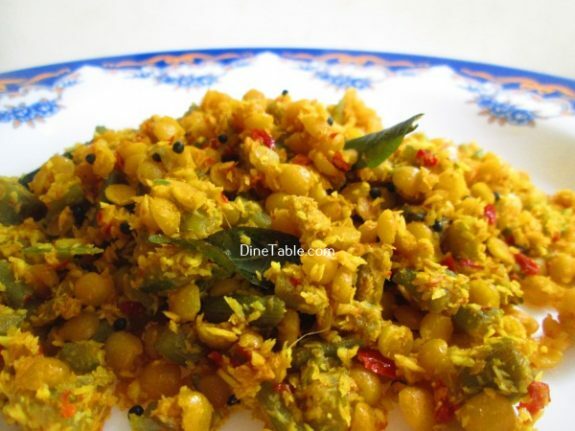 Chembin Thal Parippu Thoran is a delicious and nutritious side dish with rice. 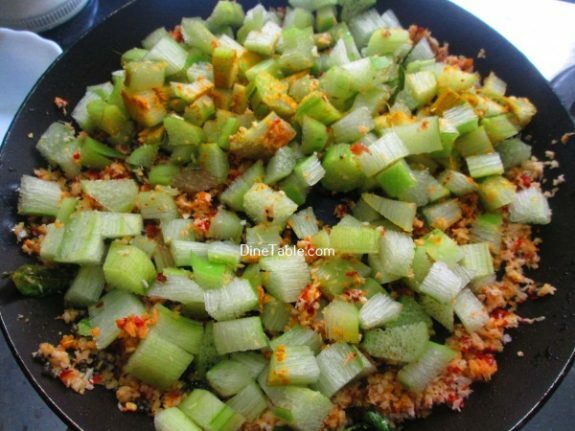 The health benefits of Chembin Thal include its ability to improve digestion, lower blood sugar levels, prevent certain types of cancers, protect the skin, boost vision health, increase circulation, decrease blood pressure etc. 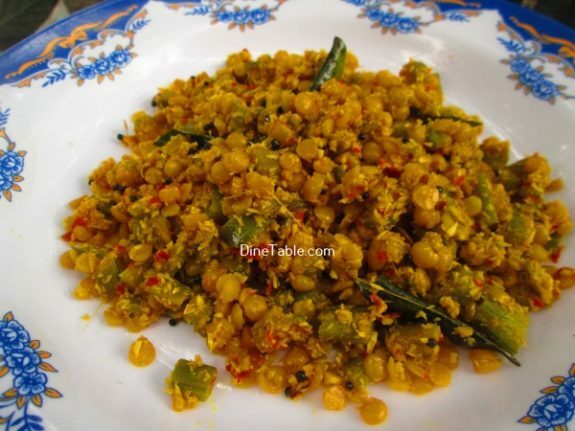 Toor dal is commonly known as the Tuvar dal or Arhar dal is an excellent source of carbohydrates which your body needs for energy. 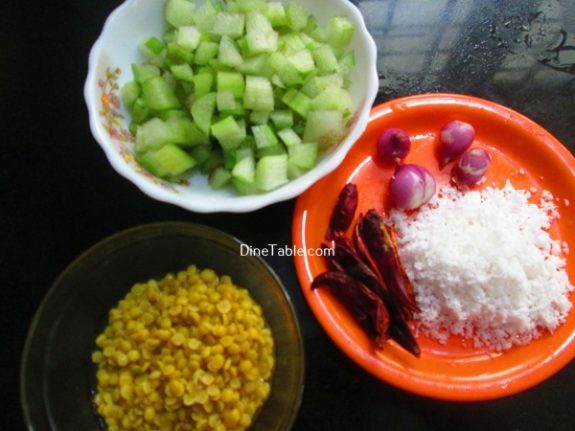 Clean and wash Tuvara Parippu / Toor dal (തുവര പരിപ്പ് ). 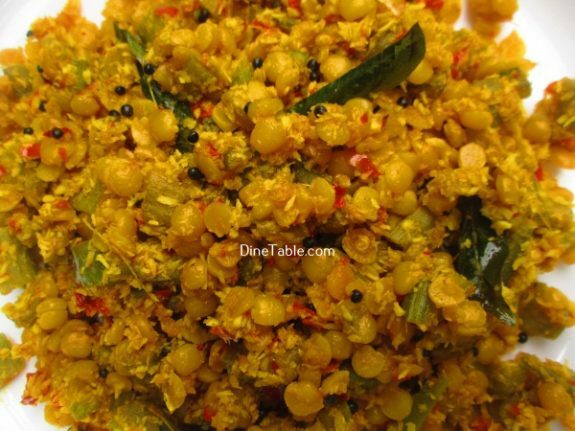 Heat a pressure cooker and add Tuvara parippu, 3/4 cup of water, turmeric powder, salt then pressure cook for 2 whistles. Keep it aside. 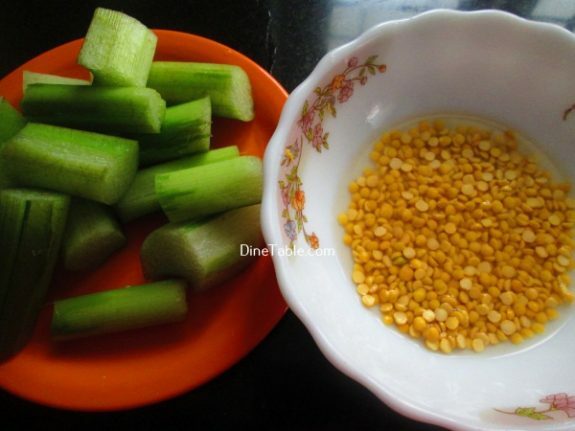 Cut the Chembin Thaal / Taro Stem (ചേമ്പിൻ താൾ ) lengthwise and peel off the outer skin. 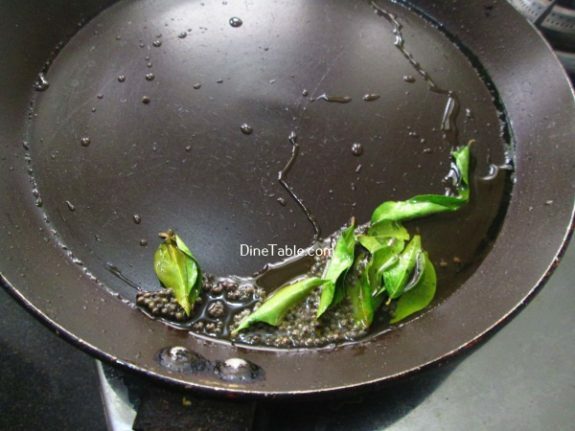 Clean it well and chop the stem into small pieces. Add salt to it and squeeze out the thick serum and keep it aside. 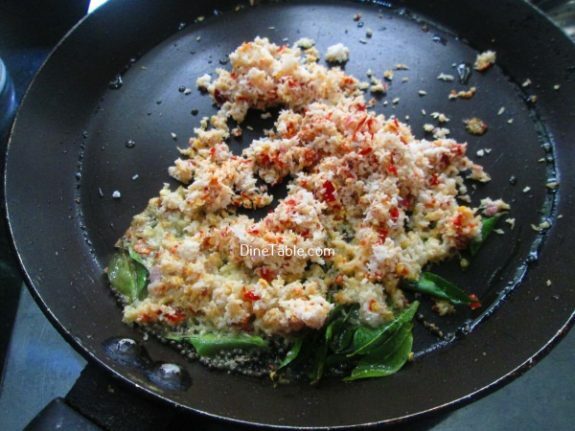 Coarsely grind the grated coconut, dry red chillies, shallots with a mixer grinder. Do not add water while grinding. 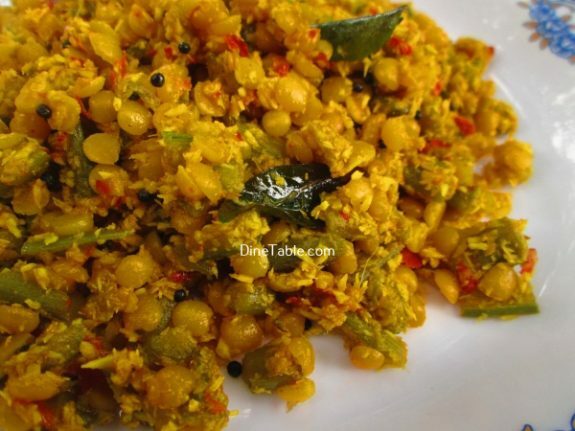 Heat 4 tsp of coconut oil in a pan and add mustard seeds and curry leaves. Once the mustard seeds start to splutter, add the coconut mix into it and mix well. Cook this on a low flame for 3 minutes. 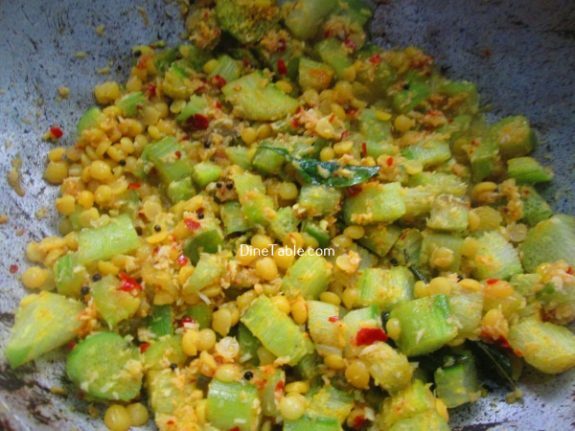 Add the chopped chembin thaal and salt into it. Stir well for 3 minutes. Cover with a lid and cook for 5 minutes on a low flame. 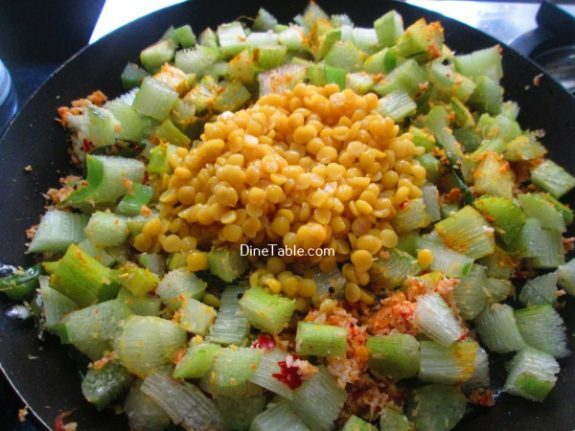 Open the lid and add cooked toor dal into it and mix well. Cook for another 5 minutes till it gets dry. Switch off the flame. 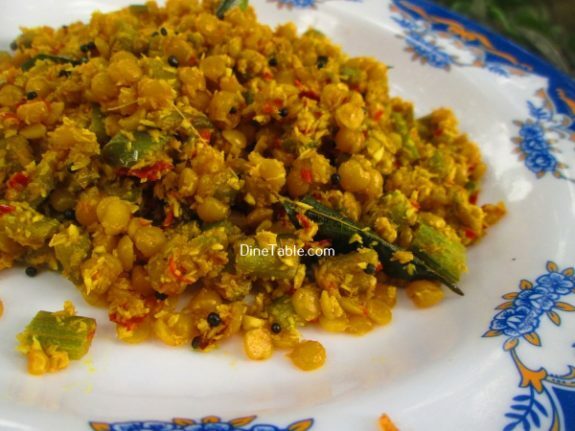 Tasty Chembin Thal Parippu Thoran is ready.